French President Emmanuel Macron pleaded on Wednesday for European unity in the face of China’s growing economic power as he wrapped up a visit to Beijing with several business deals. Macron, who has become the leading voice of the European Union, endorsed President Xi Jinping’s massive $1 trillion programme to revive ancient Silk Road trading routes during his three-day trip. But the French leader also warned Europeans to stay on guard to protect strategic sectors as China makes inroads through the project, known in Beijing as One Belt One Road, which seeks to build rail, maritime and road links from Asia to Europe and Africa. 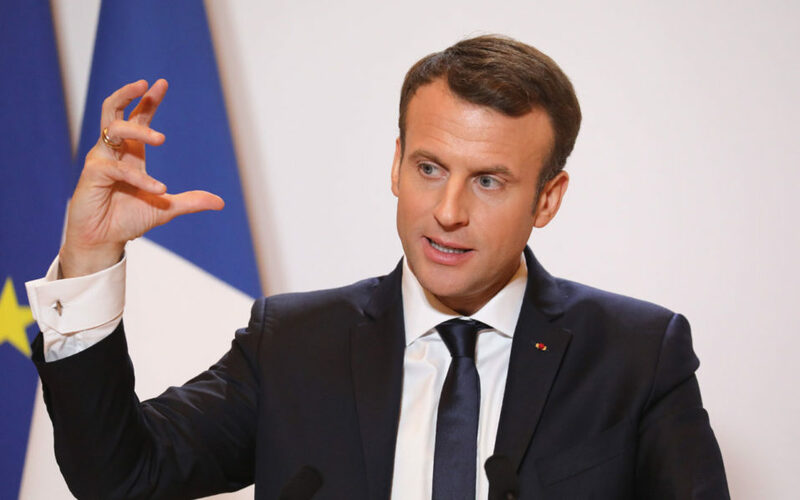 “We must come up with a common position at the European level” regarding the Silk Road, Macron told a press conference. “We can’t disregard this initiative. It would mean dealing with its consequences and would be a profound strategic mistake,” he said, while noting that Europeans are divided about the Silk Road revival. “Some countries are much more open to Chinese interests, sometimes at the cost of a European interest. We can’t blame them for that because we have forced very tough privatisations on them,” Macron said. Greece, for example, has sold the port of Piraeus to China and is a major recipient of Chinese largesse. In June, Athens blocked an EU declaration condemning Chinese human rights abuses. But “China cannot respect a continent where some member states open every door, where it is easy to buy essential infrastructure. So when France or Europe defends its strategic sectors, it’s good for us and for dialogue,” Macron said. The French leader has staked a claim as the EU’s most prominent leader as Britain prepares to exit the bloc next year and German Chancellor Angela Merkel is embroiled in post-election coalition talks. While he pressed France’s concerns about its trade deficit with China, Macron came away with the last minute announcement of a Chinese commitment to buy 184 single-aisle A320 planes from European aviation giant Airbus. The value of the deal was not immediately disclosed, but at list prices for the single-aisle planes it could total at least $18 billion. Other business deals were made during the visit, including one for French state energy giant Areva to help build a nuclear spent fuel reprocessing plant in China. In another breakthrough, China agreed to lift an embargo on French beef within six months. Macron and Xi also saw eye-to-eye on the battle against climate change, with both voicing their commitment to the Paris accord in the face of US President Donald Trump’s pledge to withdraw from the pact. But the French leader defended his decision to avoid condemning China’s human rights record in public, adding he and his Chinese counterpart had discussed the issue behind closed doors. “I can entertain myself by giving China lessons while talking to the French media,” he said.